Union of Soviet Socialist Republic (USSR), commonly known as Soviet Union, was a socialist state that lasted from 1922 to 1991. Major areas of Eastern Asia and Eastern Europe were part of Soviet Union with its capital in Russian city of Moscow. Soviet Union played major role in the defeat of Germany in World War 2 after which it became a superpower along with USA. As leader of Communism, USSR had great influence in several parts of Asia, Europe, Africa and South America. USSR emerged after the fall of Russian Empire and victory of Red Army against White Army. Main reasons behind the rise of Soviet Union are listed below. In the start of 20th Century, Russian economy was facing severe economic and political instability that gave rise to social unrest. The situation was used by communists as they promised equal rights to people of lower status. The economic condition worsened with the passage of time and problems of people like factory workers, farmers etc. increased miserably which strengthened the ranks of Bolsheviks. Through increase in numbers among lower part of society, communists were able to establish a communist state in Russia in 1917. The most important role for their success was played by the bad economic condition of Russian Empire at the start of 20th Century. The situation of Russian Empire was not stable at the start of World War 1 in 1914. Russia had suffered a humiliating defeat against Japan in Russo-Japanese War(1904-05). Later, the Duma (Russian Parliament) was established in 1906 that paved way for constitutional monarchy in place of absolute monarchy but the Emperor Nicholas II was not ready to shift his major powers to Duma. Workers strikes were on rise due to weak economic conditions. The situation demanded to avoid any conflict but Russia decided to enter the war in favor of Allied Powers against Germany. This proved to be the last nail in the coffin of Russian Empire. Severe human and material loss in the war forced the emperor to step down from his power and the responsibilities were taken by provisional government during the course of the war. But the new government also decided to continue the war in favor of allies which ended in the empowerment of ‘Bolsheviks’ after October Revolution. Soon after the ‘October Revolution’, the Russian Civil War started between the Soviet Red Army and ‘White Army’ (supporters of monarchy). White Army was supported by several countries of Allied Powers. But the Red Army had more support inside Russia that assisted them to defeat the White Army in 1922 which ended any resistance against Bolshevik rule and resulted in the establishment of Soviet Union. Under the regime of Joseph Stalin, large scale industrialization started in late 1920s. 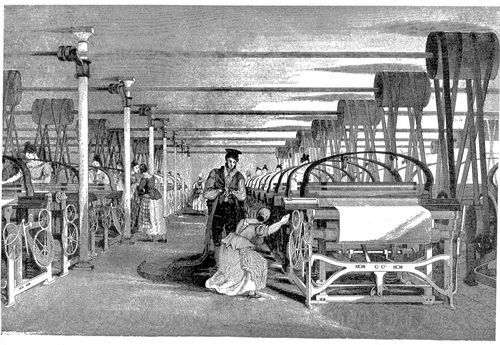 New industries were established with modern equipment under this policy which increased the industrial production many times as compared to the period of Russian Empire. This high rate of industrialization helped Soviet Russia to keep levels of goods productions at high and made it possible for them to fight a long and bloody war against Nazi Germany during World War 1. At the start of World War 2, Germany and Russia signed ‘no-war pact’ that helped the Soviet Russia to annexed areas in Eastern and Central Europe. Later in 1941, Hitler turned his attention towards USSR after getting rid of Western Europe in order to end the danger of communism and "purge the earth from Slav people". Russia suffered heavy casualties at the hands of Nazis during German invasion on Russia (Operation Barbarossa) but they managed to save their important cities of Moscow and Leningrad during this invasion. Russia had already signed a pact with Japan (Soviet-Japanese Neutrality Pact) in 1941 which helped them to transport their additional and fresh troops from eastern to western side for their counteroffensive against Germany. In this counter attack, Russians not only took back all the areas from exhausted German Army but also captured many other areas from Germany including the eastern part of Germany. The Russian victory against Nazi Germany helped the soviet republic to increase its influence and create an Eastern Bloc. Joseph Stalin became leader of Soviet Union in 1920s and remained at this position till his death in 1953. He played most important role in strengthening of USSR economically and militarily. 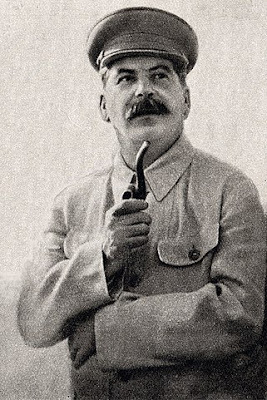 After consolidating his power, Stalin focused completely on making USSR a communist state by adopting the concept of ‘Socialism in One Country’ after shunning the idea of ‘international socialism'. He transformed the economy of Russia from agrarian to industrial through his industrialization and collectivization policy. The advancement in science and technology was also rapid. His cruel policy of "Gulag Labor Camps” and “Great Purge” helped him to eliminate rebellious nations and political rivals respectively. He was the main planner to defeat Nazi Germany during World War 2. Few of his policies proved disastrous for USSR later but there is no doubt he was the man behind the rise of communism in Russia and also in the rise of USSR as a superpower.